The system automatically creates the invoices and sends them to the front desk and to your clients. You can now create invoices effortlessly! With this module, your invoices will be automatically created based on the information added by the doctor during the visit. Rest assured, before sending the information to the client, the invoices can be modified by the front desk officer. This enables front desk officers to see the status of the appointments and what clients are now in the clinic. Once the appointment is done, the officer receives a notification and access to the invoice. The invoice can be easily modified and then printed or sent directly via email to the client. With the invoicing module, you can modify the invoice and decide what information should the client receive. Find out detailed information about a customer’s lifetime value and how much they spend per visit. You can easily see if there are any missed appointments or pending payments. With the functionality of this module, you gain control of the money flow and understand who are the most valuable customers. All invoices and communications are sent with your company information and your logo. The clients easily see your brand identity and start trusting you more. 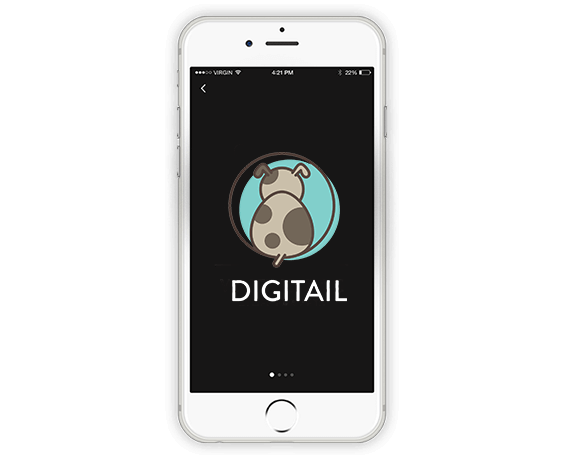 For each pending payment, Digitail sends automatic notifications to the customers.